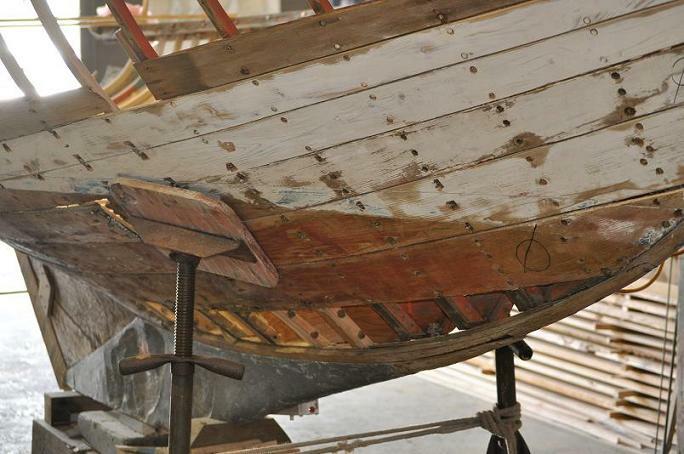 2014.08.24: PEEPER is wholly reconstructed by Bristol Boat Company while retaining; stem, sheer clamp(s), sheer plank(s), coaming(s), transom, thwarts, ballast, mast, main boom, jib boom and ballast. (source: submitted online) previous note: The previous owner, Dan Shea of Bristol Boat Company, is a master boat builder. The boat has her original rig and hardware.